It is expected that the multirole Project 22220 nuclear-powered icebreaker Ural will be launched in May 2019, according to a Baltic Shipyard report. 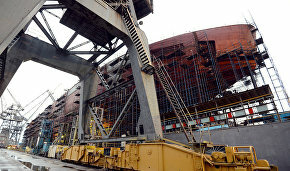 Today, the Baltic Shipyard's specialists have loaded the last nose section of the ship's forecastle (Section 1801), thereby completing its entire hull. "Shipbuilders will now have to build the infrastructure and conduct all operations prior to the ceremonial launch, scheduled for May 2019," the report says. 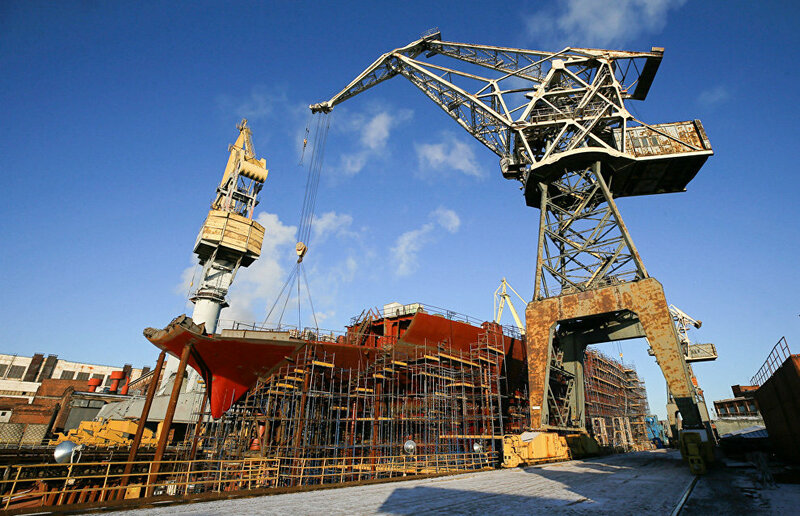 Now, the Baltic Shipyard in St. Petersburg is building three new multirole Project 22220 nuclear-powered icebreakers, including the lead ship Arktika and the first production icebreaker Sibir that have already been launched. There were plans to commission the icebreakers in 2017, 2018 and 2020, respectively, but these deadlines were repeatedly put off. Analysts explained these problems by delayed deliveries of turbine equipment for the icebreakers' propulsion units. The Arktika is now set to enter into service in 2019, followed by the Sibir in 2020 and the Ural in 2021.